The Orthodox text in copper is imitating the inner space of the Star of David. Twelve white doves and six intricate stars are creating a circle symbolizing perfection, Eternity. 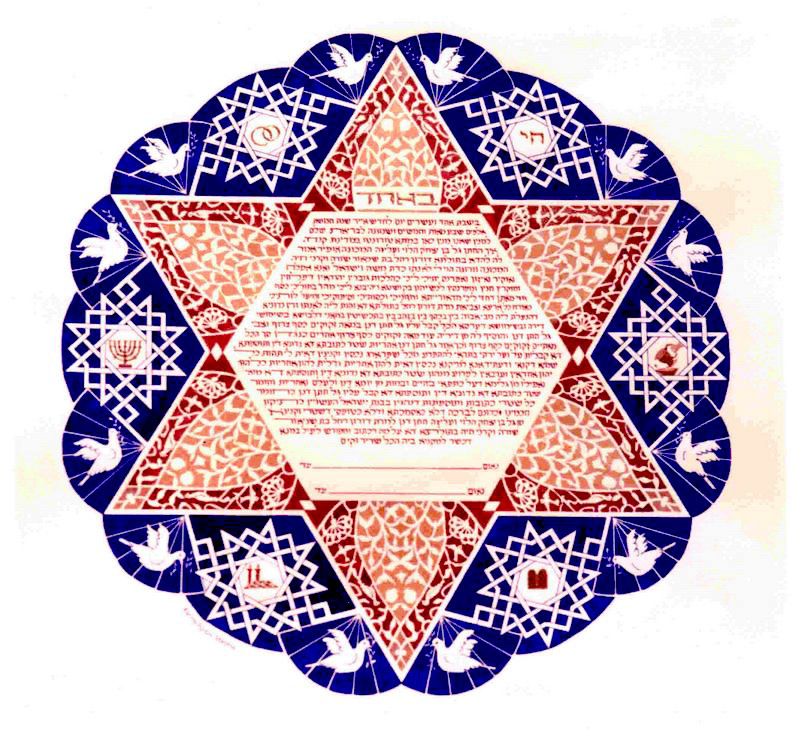 Each star contains a symbol from our Jewish tradition, Chai, a vessel of oil (the Groom is a Levy), the two Tablets / the Ten Commandments, a Shabbat table , a Challa and Shabbat candles, a Menorah and the two rings. The Star of David contains birds, and pomegranates (a symbol of Prosperity and Abundance).